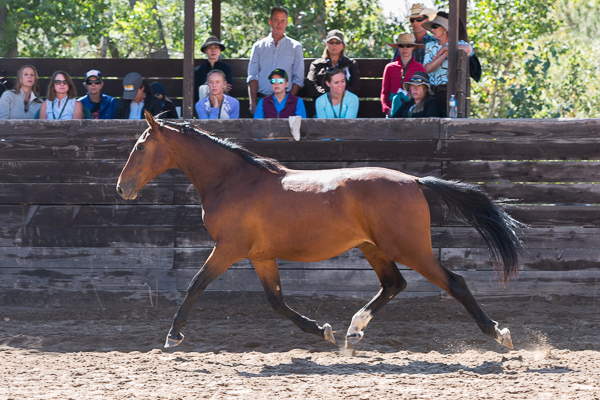 Join Maplewood Stables for their Super September Clinics in Reno, Nevada! These six educational clinics will offer attendees the opportunity to study and learn from industry and international leaders in equestrian sports. Clinicians and educators traveling to Reno include Linda Allen, Olympic Games Show Jumping course designer, Dr. Daniel Marks, a Show Jumping Hall of Fame member and veterinarian, Scott Hofstetter, renowned Hunter and Equitation judge, as well as other internationally sought-after horse trainers and equine specialists from the United States and South America. "We're excited to have people coming to us from all over the United States to further their equine educations," said Julie Winkel, Maplewood founder, owner and Super September clinician. "As hosts and clinicians, we here at Maplewood always learn a tremendous amount from each other as well as the other participants. September is a very special month for us, and we open our doors to the local horse community and those who are interested in meeting the sport's leaders and learning more about all aspects of the horse industry." In addition to offering outstanding educational opportunities for horse owners, riders and trainers, most of the clinics fulfill continuing education credit and licensing requirements for the top levels of the Hunter and Jumper sports through the United States Equestrian Federation (USEF). The Sport Horse Conformation Seminar, Course Design School and Judge's School are approved by the USEF and United States Hunter Jumper Association (USHJA). The Trainer Certification Program Clinic is approved for those seeking to achieve certification or maintain their current certification through the USHJA. The Judge's School is also endorsed by Equestrian Canada and the American Quarter Horse Association for their officials. These educational clinics are open to everyone, including trainers, parents, riders, owners and any interested parties who wish to learn more about the Hunter/Jumper sport and horses and horsemanship. "We really hope the local horse community will embrace this unique opportunity to learn more about horses and our sport from experts in their respective fields," added Winkel. "We are bringing many of the best educators in the sport to Reno this September, and we have plans in place to continue to build a world-class equestrian educational hub here." Maplewood Stables, Inc., is a 150-acre horse breeding, training, showing and sales operation located in scenic Pleasant Valley. Established in 1977, Maplewood is dedicated to developing and showing champion Hunters and Jumpers at all levels throughout North America. Maplewood stands the stallions Osilvis, Cartouche Z and Good To Know, all three accomplished Show Jumpers.